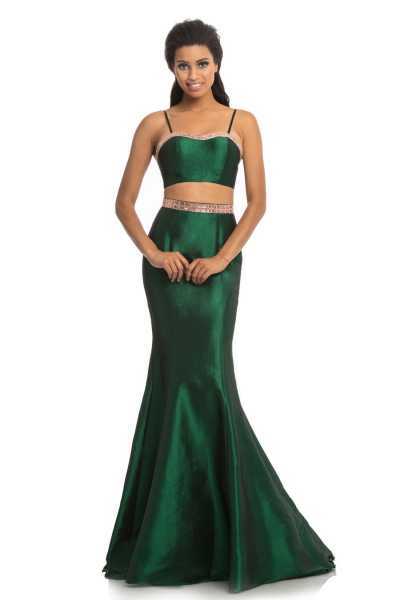 Shimmer while wearing this Johnathan Kayne 9012 2 piece mermaid dress. This dress is made from the Taffeta fabric. The 2 piece dresses are the lastest trend and it is a must have! There are thin straps and a back zipper enclosure. The mermaid style is very slimming because it gives you the perfect hourglass figure.